With the reference to Duchamp’s sculpture so immediate, Errazuriz’s expanded version could be seen as a bit of a one-liner. For me, what saves the work from being nothing more than a riff on that first readymade is a lightness of touch that some how lets me appreciate the gesture and move on. That’s not to say that Complete (Duchamp Series) doesn’t get beyond the visual joke. 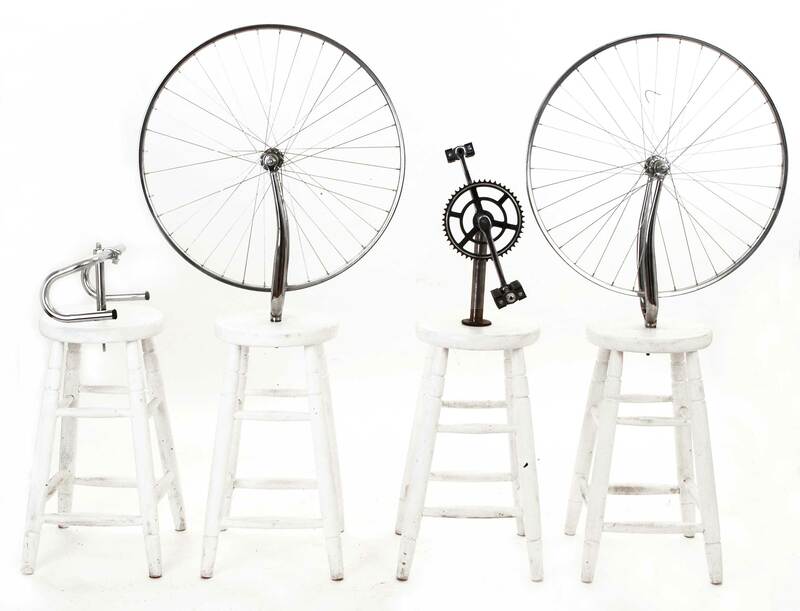 Part of what makes Bicycle Wheel interesting is that the wheel has been completely removed from its usual context. Here that context is reestablished but remains non-functional. 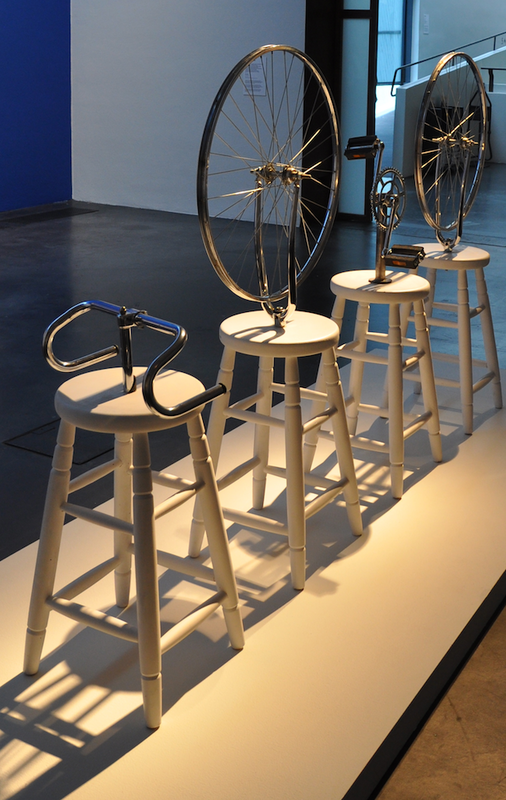 Though Errazuriz’s bicycle is incomplete, in a way it reminds me of Damián Ortega’s suspended sculptures almost as much as it does of Duchamp’s readymade. 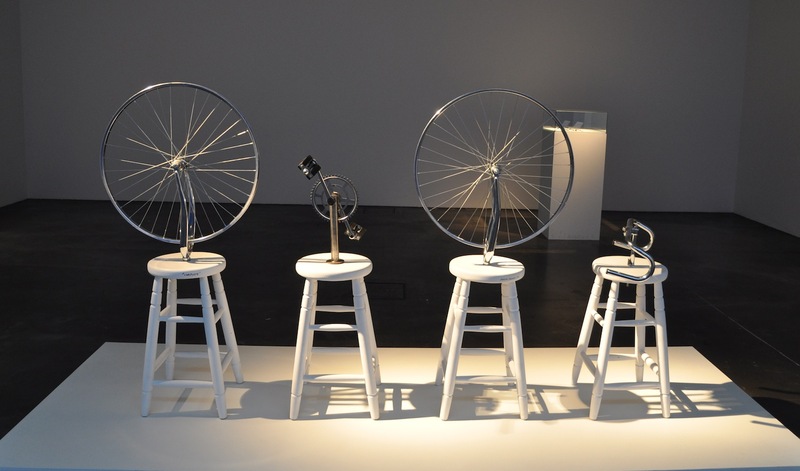 This entry was posted in Assemblage, Ideas, Sculpture and tagged art, assemblage, bicycle, Complete (Duchamp Series), sculpture, Sebastian Errazuriz by Ann Jones. Bookmark the permalink. Duchamp and the Dada movement was what first piqued my interest in art and specifically 20th century art. I wonder now whether he also influenced my love of bikes and riding. Thanks for the post, it was a real surprise and joy to come across it.